Transparent. Not a black box! 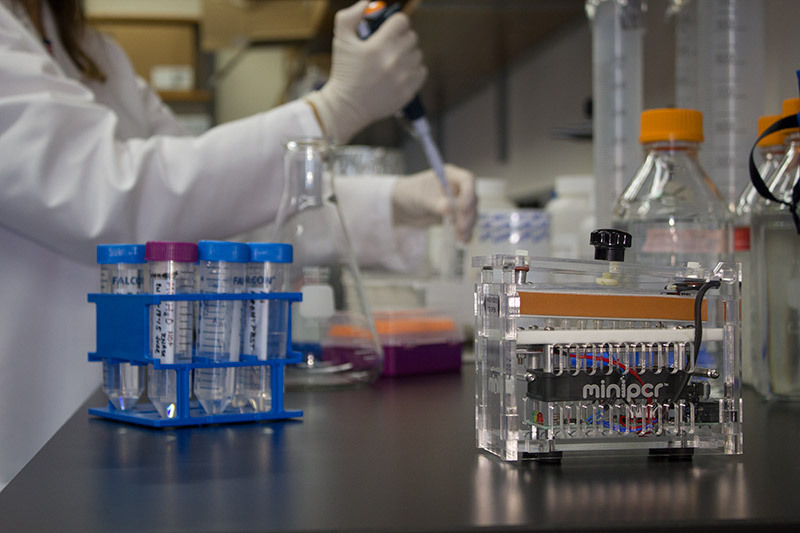 miniPCRTM copies targeted pieces of DNA in a process known as polymerase chain reaction (PCR), with the same quality as professional benchtop thermal cyclers. Works interchangeably with standard PCR assays, reagents, and consumables. Built to last. From classroom to jungle. PCR is the gold standard for DNA-based detection of pathogens, contaminants, and species identification. 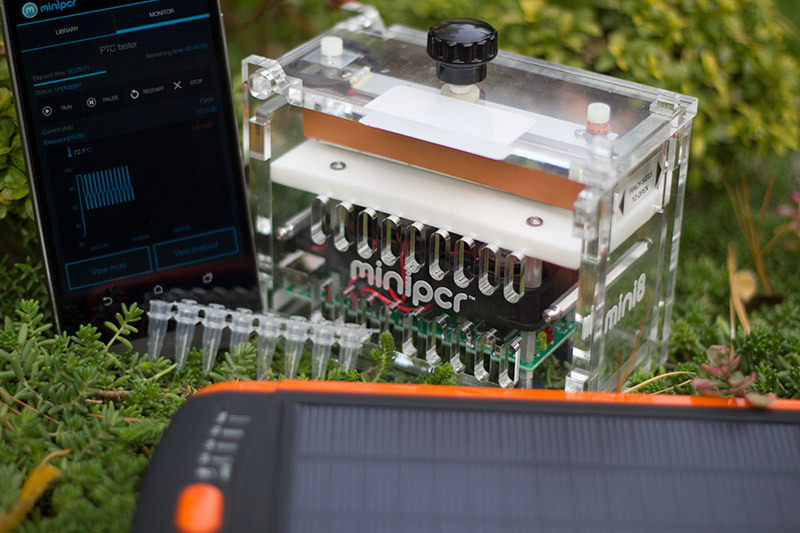 miniPCRTM can operate in the field on portable rechargeable batteries (Power Pack sold separately). Sturdy, miniaturized 2 x 5 x 4 in. design weighs less than 1lb. 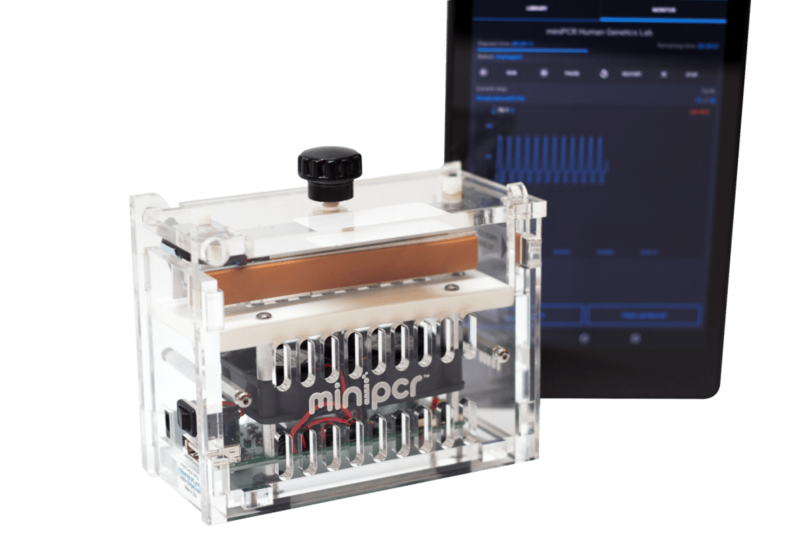 Read real-world case studies by scientists using miniPCR. Interactive and transparent. Not a black box. 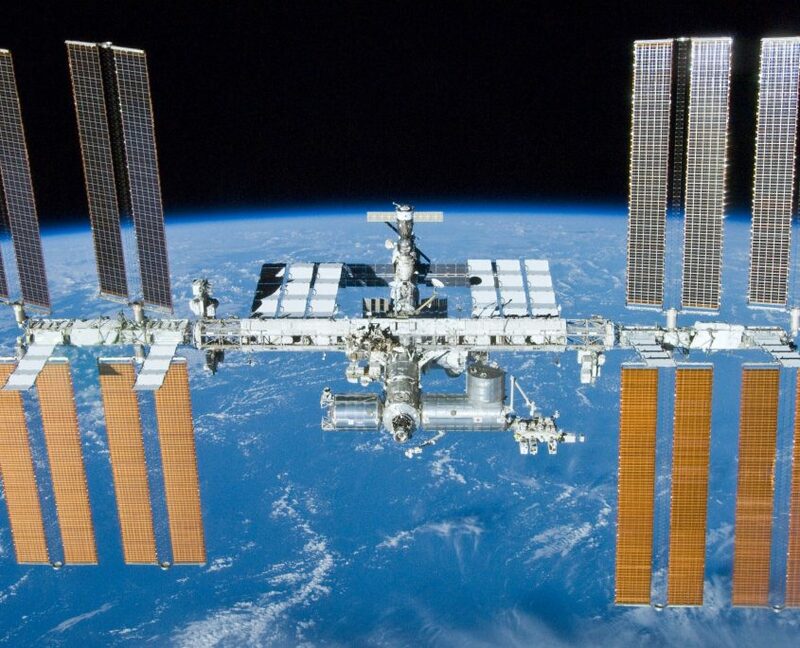 Easily create, share and monitor experiments. Follow and understand the PCR process, export run data for analysis. 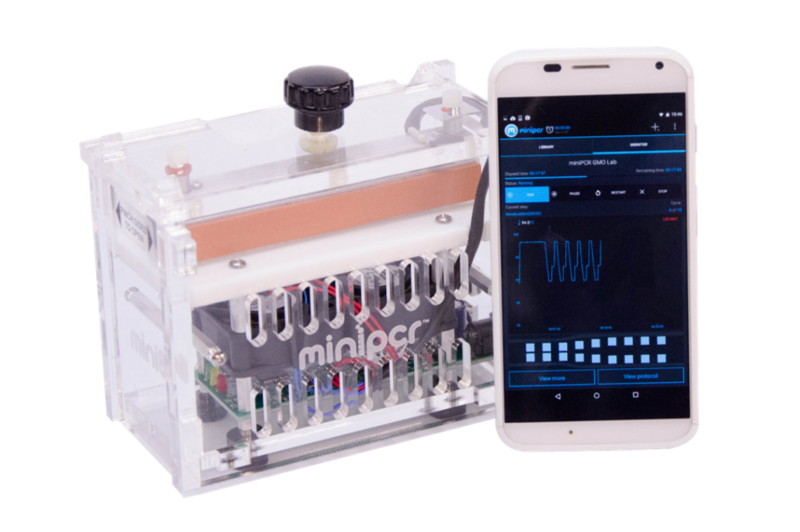 The free miniPCRTM App is available for Windows, Mac, Android, and Chrome operating systems. Not a mysterious black box. Engage with the free miniPCRTM App. Learn. Download. Dimensions: 2″ x 5″ x 4″ (5.1 cm x 12.7 cm x 10.2 cm) approx.